Which cylinder lock do you need for CABLOXX and what should you be aware of during installation? When selecting and installing the cylinder lock for CABLOXX, you need to be aware of a few things, which we would like to explain to you in more detail in this blog post. How many pull-outs can be realised with CABLOXX per locking bar? 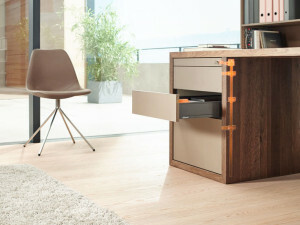 In some situations, it is necessary to lock up pieces of furniture e.g. in order to store personal items of value at home or in your office. 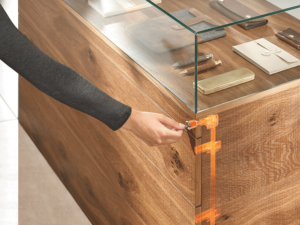 We have introduced a new product called CABLOXX for this situation, and for shop fittings. 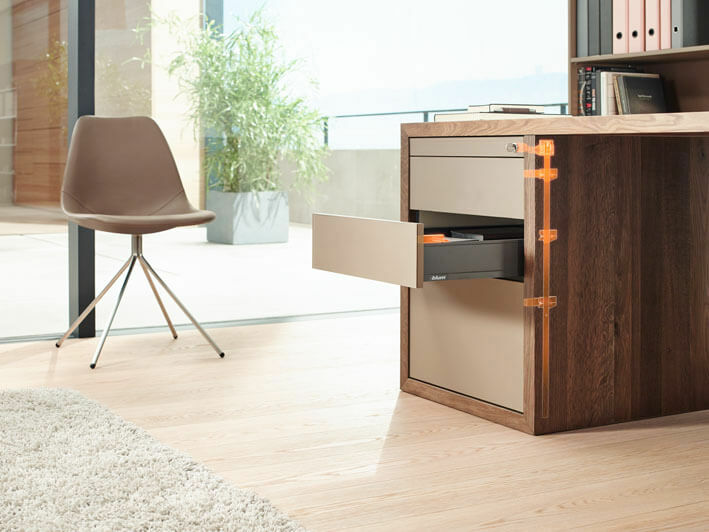 CABLOXX is a system-independent locking system, which means that it can be used in combination with LEGRABOX, TANDEMBOX, MOVENTO and TANDEM, or any other motion technologies. CABLOXX has another function, tip protection, on top of the furniture’s ‘seal’ function. This is intended above all for free-standing furniture. Tip protection prevents more than one pull-out from being drawn out from the cabinet. This prevents the furniture from tipping over when the pull-outs are loaded.